It’s that time of year again when the excitement begins to build. The days are getting shorter, the air is colder, and winter is on the way. We’ve packed away Halloween, and we’re ready to welcome the Big Guy — you know, Santa — in to the house. 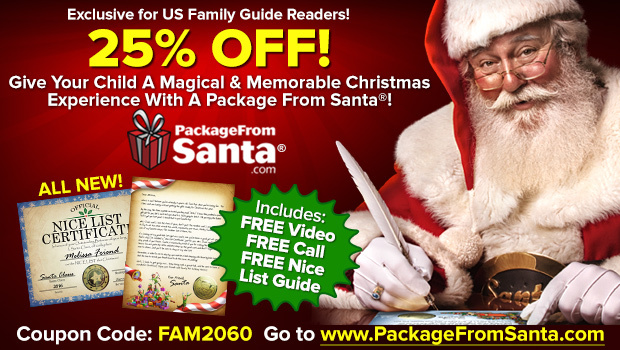 Wouldn’t it be fun to have a gift from Santa including a phone call, letter, and more? I’m keeping the spirit alive by getting a Package from Santa for my kids.